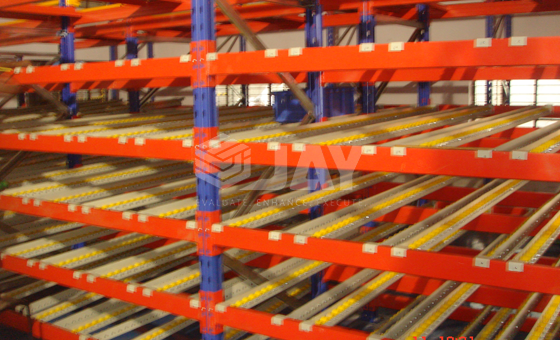 Racking for Carton live storage or live Picking is made up of slightly inclined platforms of wheels & rollers, on which the goods are deposited at one end. They then slide down on their own until the far end, positioned at the exit aisle. 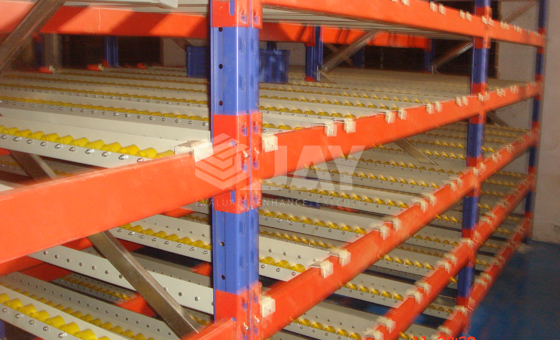 Carton Flow Rack system guarantees perfect product turnover, prevents interference in the replenishment and the collection of material, and increases speed in order preparation. 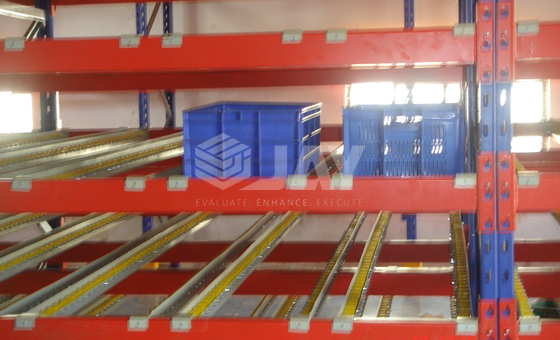 It is designed for areas in the warehouse with a large volume of picking as they increase the number of lines to prepare and remove the need for personal to make unnecessary journeys when doing these operations. 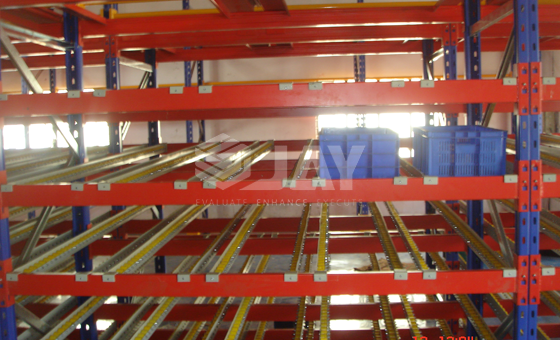 The racking for live picking requires a loading or replenishment aisle and a preparation aisle. 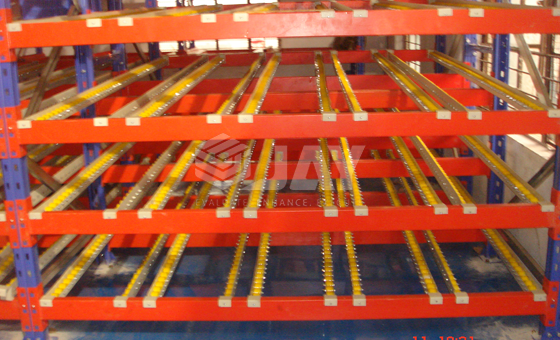 As a rule, they are installed in areas with considerable picking activity, but also in assembly chains, buffer warehouses between two working point (Gravity Flow), etc. IT and car industry articles, etc. 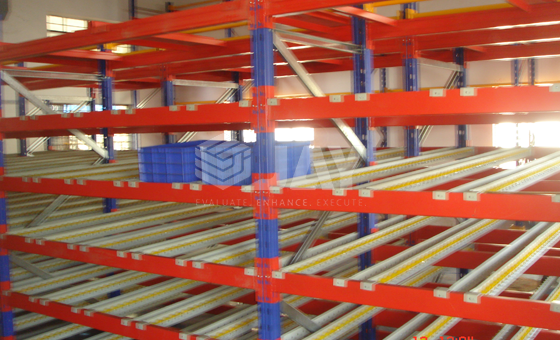 Greater number of references at the front of the racking. 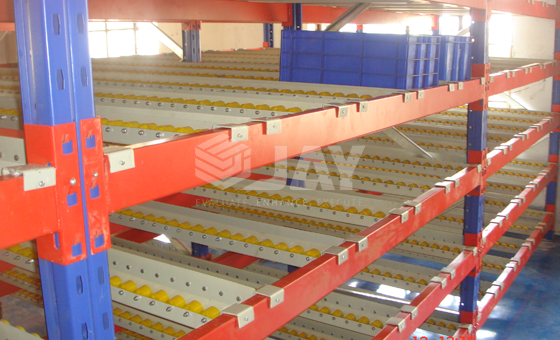 Reduction in time for order preparation. 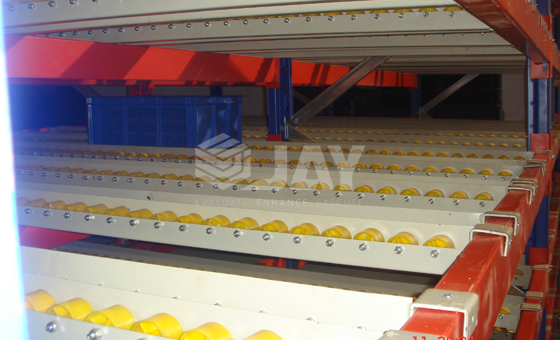 Possibility to fit a pick-to-light system (a screen which provides orders details to the operators).